RAPID CITY, S.D. 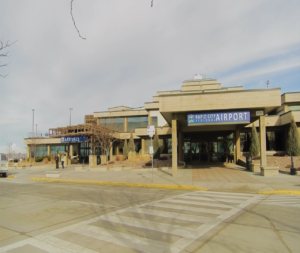 – A sky high number of people are boarding Rapid City airplanes in 2018. Rapid City Regional Airport (RAP) released a report on record-breaking passenger growth on Monday. In the report, the airport showed a record number of enplanements – boarded passengers – between June and August at 107,886 enplanements in 2018. This is a 7.87 percent increase over the 100,019 boardings in 2017. The release also revealed record boardings between the start of the year thru September. So far, 238,094 passengers have boarded Rapid City planes in 2018. Last year, 224,926 people traveled through RAP – a 5.84 percent jump. The airport expects to eclipse its number of total passengers in 2017 if this growth trend continues.